Hello Lovelies!! It's Throwback Thursday!! Wait, are we still doing that? If so then I am on point, if not...ummm...then forgive my old school mindset lol!! 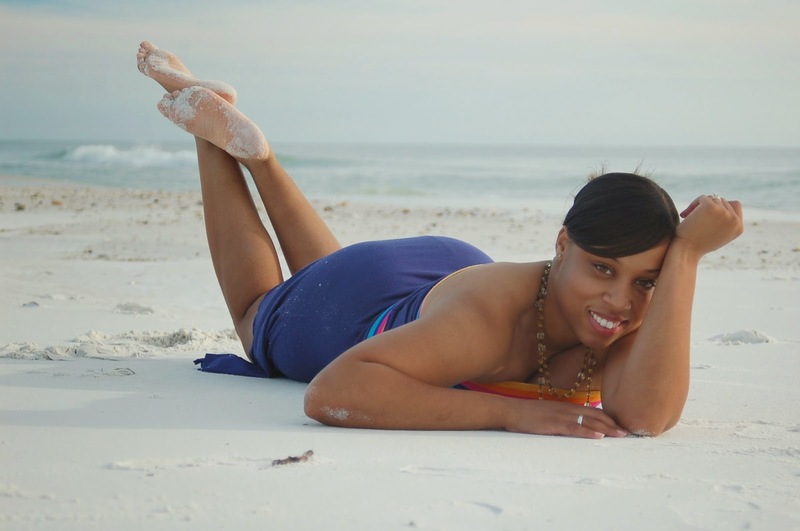 So while I was going through some pictures earlier this week of when I lived in Florida, I came across some pictures from a photo shoot I did for my husband. No, no, no...not THAT kind of photo shoot. Get your mind out of the gutter! Those personal boudoir pictures are in my N.O.P.E filing section: Not Open to Prying Eyes! Okay so I completely digressed, but my husband (then Fiancé) was deployed to Afghanistan and I wanted to send him an extra special treat along with his care box. I think it is so important to keep in contact with your significant other when they are far away from you and it is really nice to do something endearing for them...like a photo shoot of you looking good!!! HAHAHA!!! Yeah I guess you could say I was feeling pretty confident back then and come to think of it, I guess I was not as shy as I thought I was. I really enjoyed taking these pictures and I'm glad that I have something to look back on. My days in Florida were amazing and while I may no longer live in the sunshine state, I can always reflect on my time there through my photos....and maybe a tropical drink. Hello Lovelies and Happy Hump Day!! We are halfway there to the weekend ladies and gents and I am really looking forward to it! It's Memorial Day weekend which means you will find me at a delicious BBQ meet up eating lots and lots of good food! Not to mention the outfit I'll be wearing, but I'll feed you in on that in a later post. 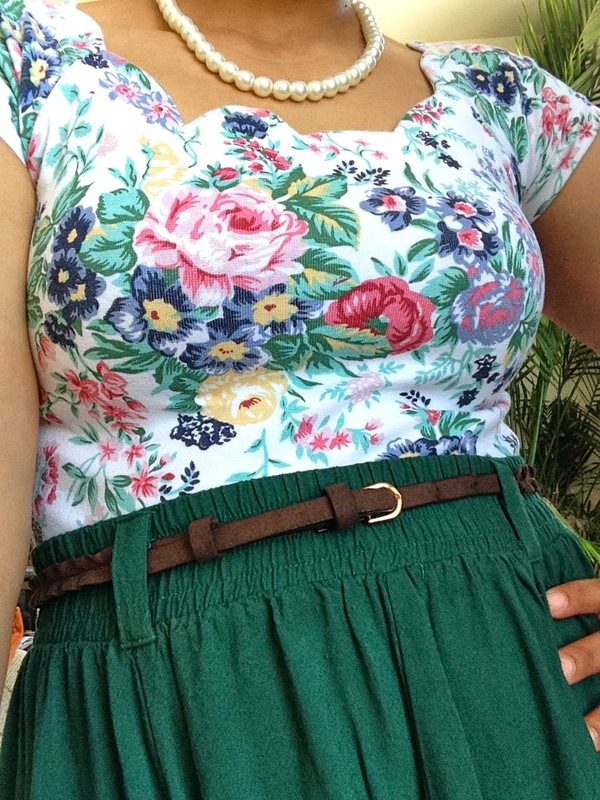 Lately I've been really into the floral look. There is something so delicate and fun about the print. One thing I love about this whimsical motif is that it comes in so many forms. From literal designs to abstract watercolor, florals are a great way to add color and pizazz to your look. You can introduce it into your wardrobe through a skirt/dress, a top, even a handbag...or in some cases a lunch bag. 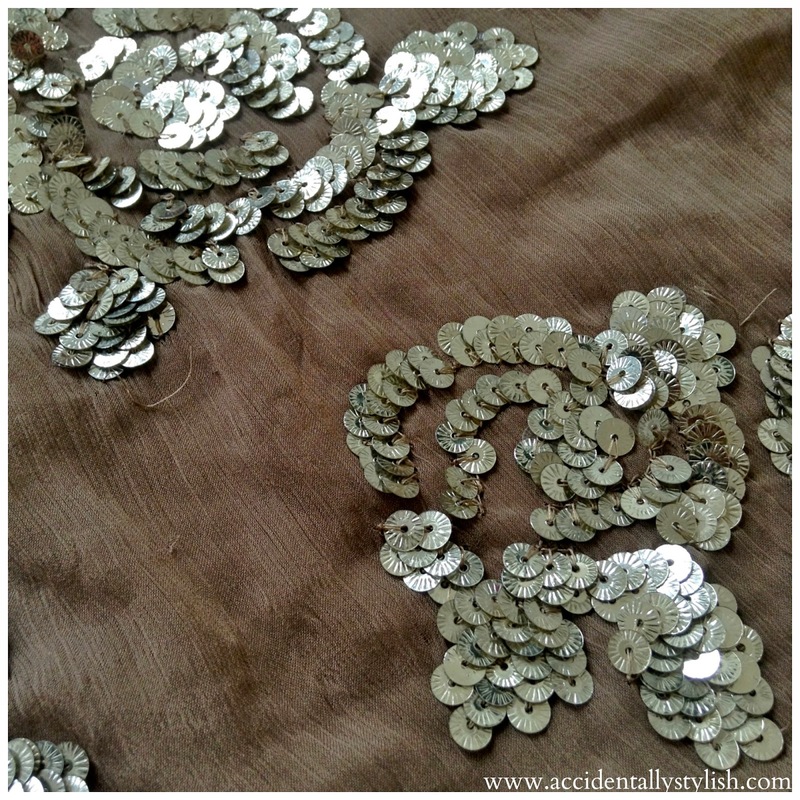 If you are ever unsure about trying a particular print or pattern, you can always try it out on a much smaller scale. I like to do this by trying it on via a shoe. With Spring in fool bloom there are endless options of floral patterned shoes and sandals to choose from. All you have to ask yourself is how much are you willing to spend for it. Here is a great Splurge or Save comparison of two floral heeled sandals I think would be a great addition to any closet. 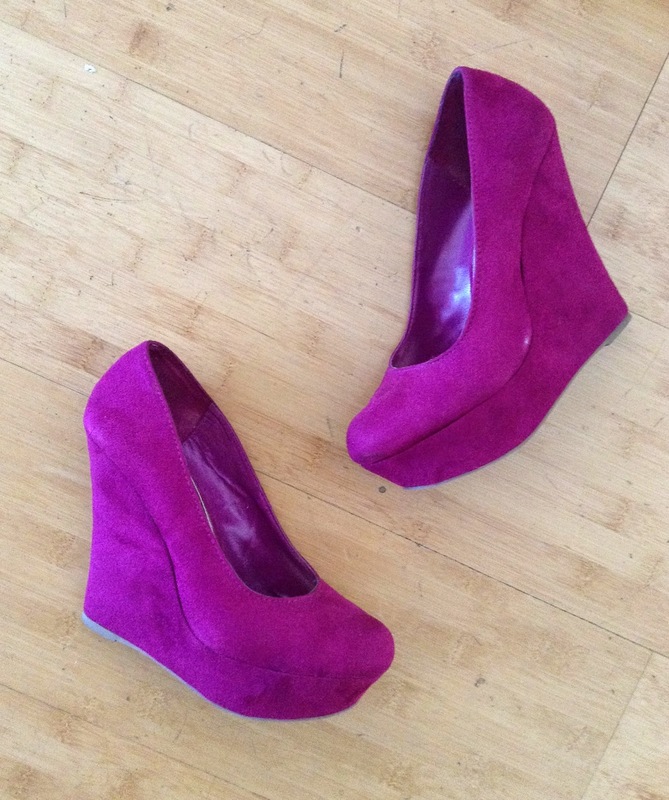 Tell me, are you all in for the Steve Madden Splurge or a bit more reserved for the Payless Save? Hello Lovelies! 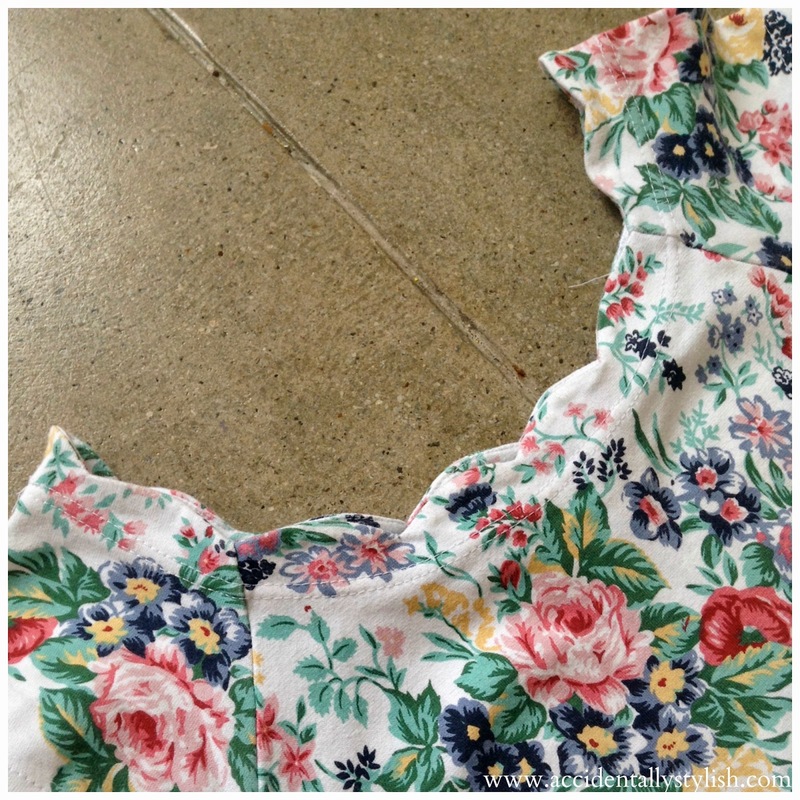 It's time for another week of Thrift-Ten Fix! As promised I am looking to keep this series up and rolling every other week, so here are some fabulous finds I made with only $10 to spend. I think I did a pretty good job with what I found and am so excited to share them with you! Let's get into it! 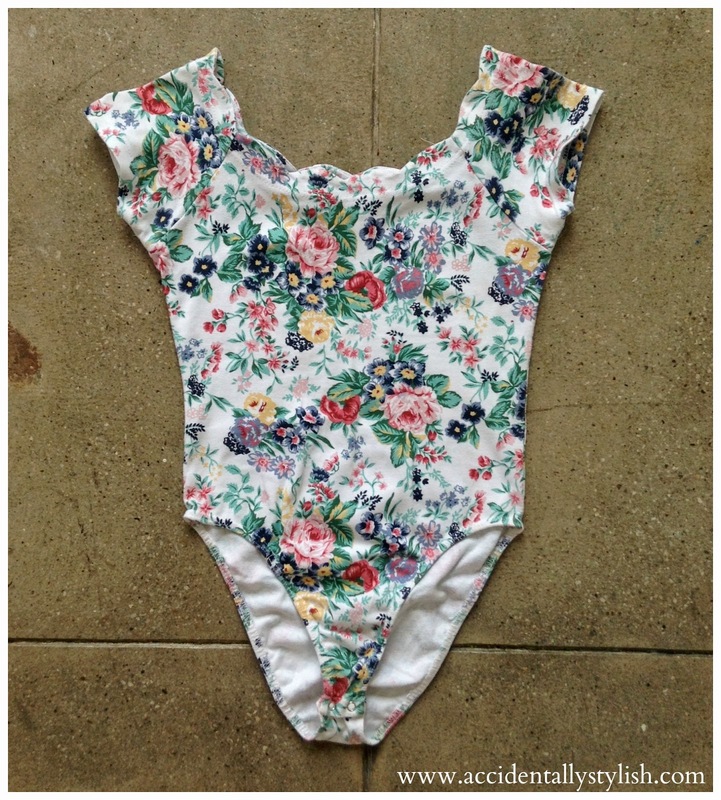 This floral bodysuit was a steal at $3.99. It was supposed to be marked down to lower than that since it had a blue tag on it, but I wasn't paying attention. By the time I realized it I was already down the road. Shame on me!! Lesson learned make sure to watch those numbers and those tags!! It's okay Goodwill, I'll let is slide this time since it was within my price range. I guess the extra two dollars I spent on this sweetie is worth it though. I was hesitant about it at first, but after much deliberation I settled on purchasing it and I'm glad I did. There is so much I can pair this suit with. From shorts, to skirts, to jeans, the options are endless. At first glance I thought it was just a pretty floral bodysuit, but the added scallop detailing along the top puts it over for me. 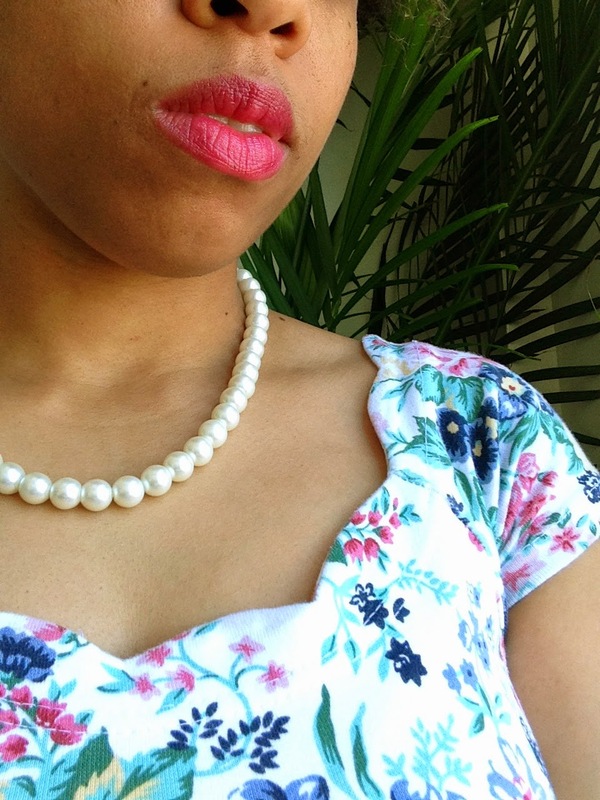 I wore it on Mother's Day for my #StyleMeMay modern "Vintage Vixen" look. I'd say from the compliments I received Sunday, it was definitely a great find. 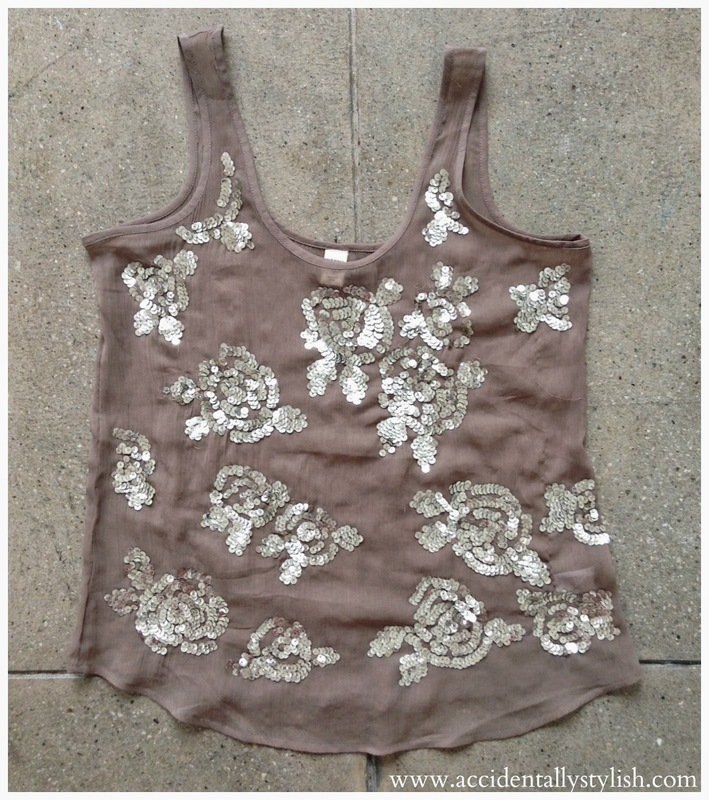 Scanning the short sleeve aisle I came across this sheer, sequin Old Navy tank and snatched it up immediately. The price was right up my alley at $3.99, but since it had a blue tag was marked down to $2.00. Of course that wasn't the only reason why I got it. This beauty is perfect for layering with a pretty camisole underneath. I love that the sequin is more of an accent and not a disco ball all over the front of the tank. The front hem dips down a bit lower than the back which I love and the mute gray, brownish tone is a great neutral to pair with various other items in my wardrobe. This little number was definitely a steal and it will definitely get much wear. After tallying up my goods, my finds cost me a whopping $5.99 plus tax. For a little over $6.00 I'd say that's not bad for two unique pieces. Yes it could have been lower than that if I'd been paying attention to the bodysuit being rung up, but can you blame me? I was too distracted by these fabulous finds and what I would do with them. So there you have it! 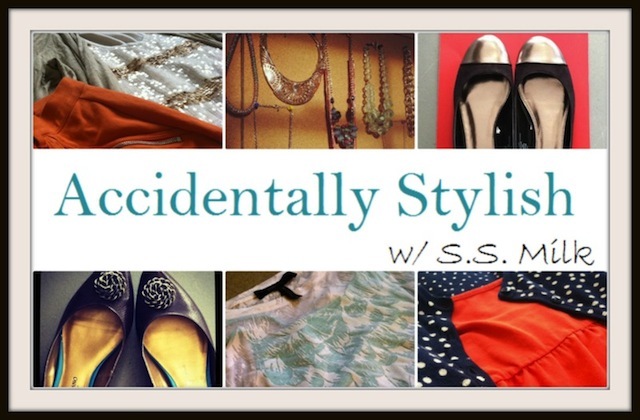 I hope you enjoyed this Thrift-Ten Fix post and stay tuned for more great finds under $10 coming in two weeks!! Hello Lovelies! I hope all you gorgeous mother's out there had a fabulous Mother's Day!! If you're not a mother, I hope your Sunday was just as beautiful as you!! Sunday was such a blessing for me but as nice it is having a holiday dedicated to being a mother, I actually consider everyday to be Mother's Day. Why you ask? Well, everyday I wake up to see that little face smiling at me and I realize that being a mother is an all day everyday job. It is because of my beautiful mini me that I am a mother to begin with, so I consider everyday a celebration that I am blessed with such an angel! 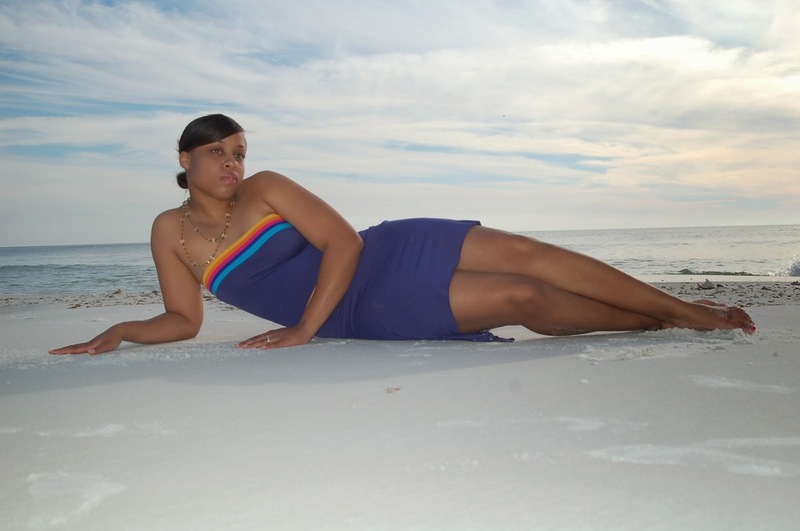 I must admit I felt so beautiful Sunday though. 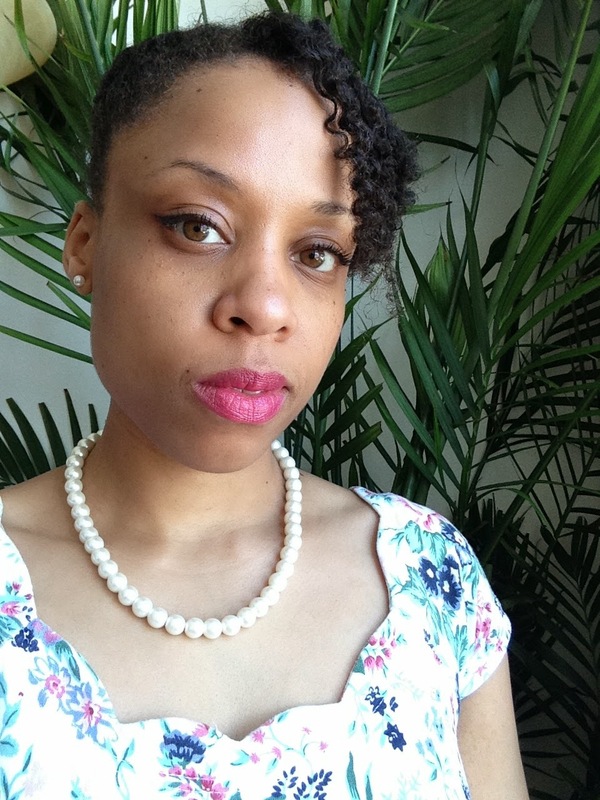 I took a bit of inspiration from the #StyleMeMay challenge and tuned into my inner "Vintage Vixen". I mean doesn't every mother out there want to still feel like a hot mama? I know I do...with a bit of modesty of course. 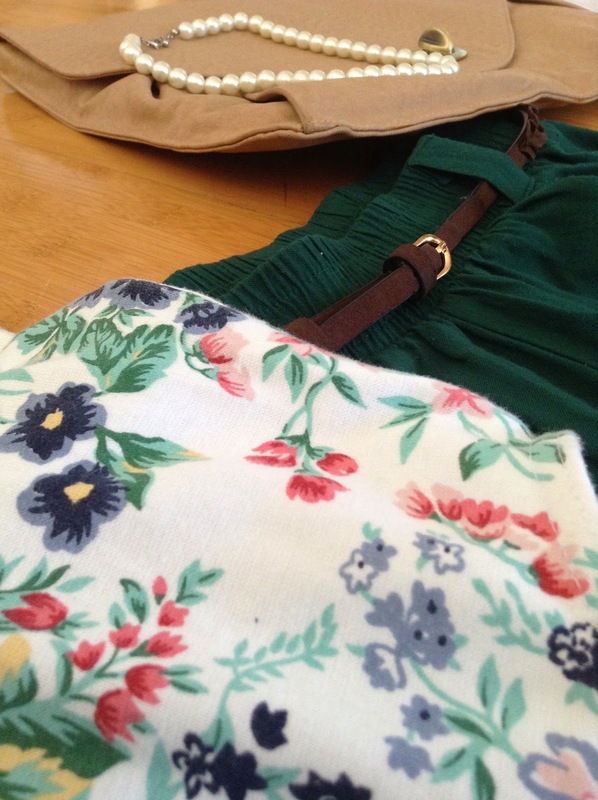 So I reached into my closet and pulled some of my favorite items to pull my classic pinup...A-HEM, modest vixen look. I love midi skirts, pretty prints, and vibrant colors so why not combine them right? I think my outfit was just what I needed to feel like even though I'm a mother I still got it. Yeah, I'd say it's all right to be reminded that I'm classic pinup worthy...just with a bit more clothes on....and a bit of Spanx here and there lol! !